How Do You Make Cardamom Essential Oil? If you’re like me, then you love a great curry. The spicier the better has always been my rule in this department. I suppose there’s something about that feeling you get, almost a rush, when eating spicy food. That energy boost is why so many of us enjoy those types of foods, and keeps us coming back for more. Not to mention the amazing boost that they give to our immune system and the immediate relief from congestion and fluish feeling that follows. Avid curry connoisseurs will have definitely heard of or encountered Cardamom at some point on their journey into the spice world. In fact, it’s an essential ingredient to many masalas and thai curries and adds that rich, almost smokey aromatic quality to the curry. It has been highly sought throughout history (at least since the time of spice routes and open trading) for its many healing and even therapeutic qualities and of course its taste. However, the spice is not only limited to its use in spicy curries, but has also been used in a variety of desserts, drinks and evens breads all over the world. So it’s both tasty and versatile!In fact, even in modern times, Cardamom and the derivative known as ‘Green Cardamom’ are still considered to be one of the most expensive spices on the market. Next to Saffron and raw Vanilla, Cardamom is the next most costly spice, largely because it is only cultivated in tropical climates and has to be imported. There are an almost limitless amounts of uses for this amazing spice, and it’s essential oil is also considered to be a widely applicable form of treatment. The spice has been used as a form of ancient medicine since the early stages of traditional Chinese and Ayurvedic medicine and was used to treat everything from poisonous bites, to fevers, infections and even relieving spasms in the body. So it’s no wonder that this expensive spice is still so highly revered amongst healers and chef’s alike. 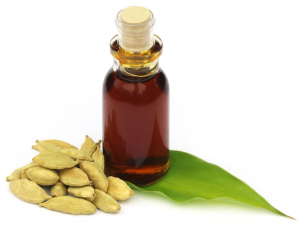 In this article, I will focus mainly on the benefits and uses of Cardamoms essential oil and why I think it’s important to have in any holistically-minded household. Cardamom essential oil is produced from the seeds of a plant that is similar to that of ginger. Cardamom essential oil is produced from the seeds of a plant that is similar to that of Ginger – in fact, they belong to the same genus known as Zingiberaceae. There are two types of the seed that commonly grow in nature, namely Green Cardamom (also referred to as True Cardamom) and Black Cardamom. These occur based on the different regions that they grow in, Green Cardamom originates in the Southern parts of India through to Malaysia, whilst Black Cardamom grows in the Northern parts of India through to Nepal. 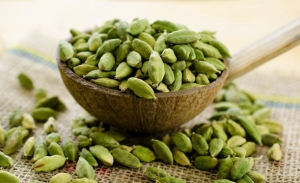 The oil can be derived from either of the seeds, but largely comes from the seeds of Green Cardamom. The oil is a concentrated form of the seeds, and packs a more potent phytochemical and nutrient punch than the seeds do, which makes it highly effective as an alternative form of medicine for a variety of health issues. In fact, the oil contains a wide variety of phytochemicals such as Limonene, Linalool, Geraniol, Alpha Pinene and Borneol amongst others as well as minerals such as calcium, sulfur and phosphate. These are essential for maintaining a healthy immune system and fro encouraging cell and tissue growth. These naturally occurring compounds are widely sought by healers and pharmaceutical companies alike, and are often used as active ingredients in pharmaceutical medicines and other skin and health care products. The Cardamom seeds are gathered and pressed to help release the natural oils. The oil is created in a process known as steam distillation and is one of the oldest methods of distillation known to man. However, just because the process is well-dated, doesn’t mean that it is ineffective. In fact, quite the opposite is true. This process is still regarded as the best means of producing essential oil as it results in the highest grade of oil with the least impurities. In the steam distillation process, the Cardamom seeds are gathered and pressed to help release the natural oils contained within. The seeds are then added to a vat of boiling water and left for roughly 5-6 hours. In the vat, the steam produced by the boiling water extracts the essential nutrients and phytochemicals from the organic matter via the evaporation process. This results in a nutrient rich vapor which holds all the active chemicals of the organic matter. The vat is connected to a separate chamber which is at a lower temperature than that of the vat. The difference in pressure results in the vapor passing into this chamber, where it cools and slowly condensates to form droplets. As these droplets gather at the base of the chamber, they form the liquid that we know as the essential oil – essential because it shares the same essence as the original matter. There are other methods of distillation that are commonly employed when mass-manufacturing the oil, but these generally involve the use of harmful hydrogenated and petro-based chemicals through a method of soaking. Industrial grade alcohol is also used to extract the chemicals from the organic matter. Although this is generally considered a cheaper option, the chemicals and alcohol often remains in the finished product (to one degree or another) and can contaminate the oil – making it unsuitable for medicinal use. So always be sure to inquire as to how your oil was distilled if you plan to use it to treat any health related issues or have any known allergies. The oil penetrates deeply into your scalp and can help stimulate the flow of blood to the scalp. Most of us who are interested in leading a holistic lifestyle, or are simply looking for an alternative way to treat their hair, are generally quite aware of the harmful products that most hair treatments contain. Whether they’re conditioners, a variety of shampoos, dandruff treatments or leave-in sprays, they contain loads of chemicals that are hard enough to pronounce let alone understand. But a lot of us with sensitive hair types know why they’re looking for another option. Most shampoos will leave your hair feeling dry and brittle over time as well as reducing your color and body too. The great thing about using essential oil as part of, or even your main form of hair treatment, is that they not only keep your hair clean, but also balance the natural oils in your scalp, rid your of any scalp infections and help to treat your dandruff from the root of the problem. This is great news because it means that you’ll save lots of money in the long run by not having to spend money on costly hair treatments to help restore your hair’s natural qualities (after using a normal shampoo for too long) and can treat your scalp and hair related issues at the same time. The high content of Linalool and Limonene found in Cardamom oil make it great for relieving your scalp of any dryness and inflammation, the leading cause of dandruff and also helps to rid your hair of any bacteria that may cause or further any infection or itchiness. The oil also penetrates deeply into your scalp (when massaged into the surface of the skin) and can help to stimulate the flow of blood to the scalp, meaning that your hair gets nourished from the inside. 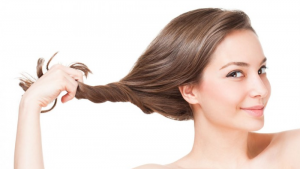 This will make your hair stronger and restore sheen over a longer period of time than most superficial treatments do. So it’s well worth using on its own or adding to your herbal shampoo – the effects will speak for themselves. 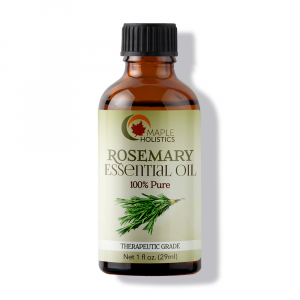 The oil can be used in a variety of ways to help treat muscle spasms, pains and cramps. The oil has been regarded as a strong antispasmodic treatment for a long time and can be used in a variety of ways to help treat muscle spasms, pains, and cramps in general. It’s effective when ingested orally and can help to relieve stomach cramps and general spasms quite well. For this method, I recommend adding roughly 3-4 drops of the oil to a luke-warm glass of water, along with a few drops of lemon juice and some mint. It may be an acquired taste – but it works. The oil can also be applied topically to help relieve muscle pain, cramps, spasms and even the pain caused by arthritis. It’s especially effective when massaged well into the affected area and helps to penetrate deeply into the muscle and tissue. 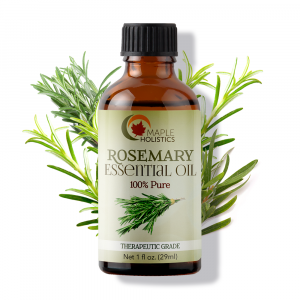 The anti-inflammatory and analgesic qualities of the oil help to reduce and relieve the pain, whilst also soothing and relaxing the muscle fibers, giving your body the time it needs to heal. This is one of the main reasons why I love this spice so much, and why I think the essential oil is such a valuable commodity to have around the home. The oil is safe to use both internally and topically and is totally non-toxic, unlike many of the harmful antiseptic creams and solutions you’ll find of the shelves of your supermarket or pharmacy. The oil can be applied to a healing wound to help kill off and keep away any harmful bacteria that may cause further infection allowing the wound to heal better over a shorter period of time. The oil also allows you to disinfect your mouth when used as a mouthwash (or in the process of oil pulling) as well as eliminating bad breath. The oil can also be added to our food or certain drinks to help keep them free of bacteria, as well as cleanse our body of an germs that may make us ill, thus strengthening our overall health and allowing our immune system to work at maximum capacity. Cardamom oil is effective but isn’t as costly as many pharmaceutical treatments are and also has none of the additional downsides that are generally associated with pharmaceutical products. So it’s well worth a try. Cardamom Essential Oil vs Argan Oil. With most essential oils, the question of which is better is really a difficult one to answer as many of them share the same phytochemical and nutrient qualities as each other. So in my opinion, it’s if you’re having doubt about which oil to use for treating any ailments or illnesses, I generally recommend both – as they’re bound to be more effective when used together than by themselves. That being said, there are differences between each essential oil that might be worth noting if you’re interested in either for a specific reason or purpose. The first is that Cardamom and Argan don’t have the same scent, and in this case I would recommend Argan oil for general skin and hair use simply because it has a lighter, more floral scent than the strong smell of Cardamom oil. 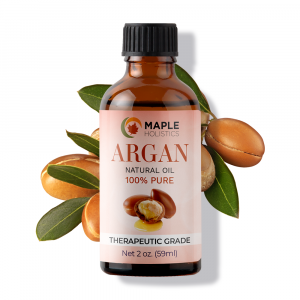 Argan oil also blends more easily with essential oils, because it doesn’t have an overwhelming odor, while as Cardamoms smell is easily distinguishable and should be used carefully when it comes to blending. But really, those are the only noteworthy differences that I could think of. The oils work well to treat the same issues and ailments in similar manners too. The main deciding factor for me would be the price of either at the time or place I’m buying them. Argan oil is largely considered an expensive oil, but because of the high cost of the Cardamom spice itself, the prices can vary depending on location, demand and supply of course. 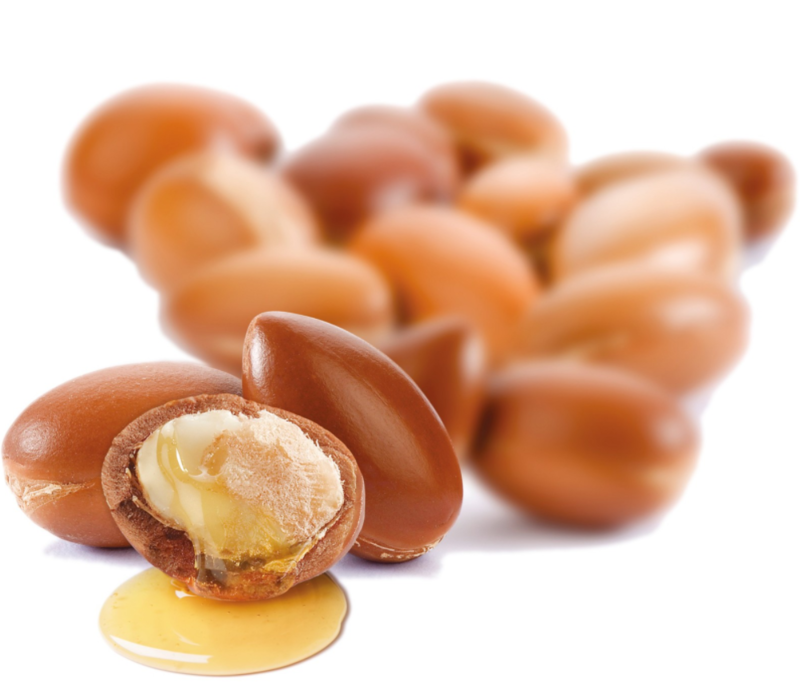 But essentially, Argan oil works better for cosmetic and superficial uses than Cardamom oil does because it’s scent is more accessible. 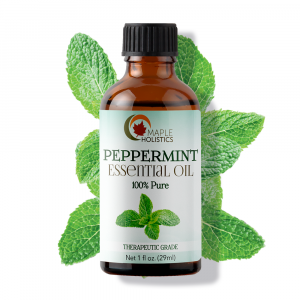 Read on at Maple Holistics: Beyond Basil, Aromatherapy and Beard Oil Explained! To conclude, the latter paragraph really shouldn’t put you off the idea of using Cardamom in your herbal shampoos or as a natural skin toner and moisturizer. The scent is still quite lovely and it blends well with Orange, Rose, Cedarwood and Cinnamon oil – which help to balance its scent and make a really pleasant concoction when it’s used on your skin or hair. The oil is a highly effective natural antiseptic agent and can very helpful in keeping your skin and hair free of harmful bacteria as well as remove the effects of an infection quickly. I think that going the natural route is quickly becoming a more realistic option for many when they consider the ingredients and side-effects of most the chemical treatments we’re used to. So making the shift shouldn’t be difficult for you, especially after you see the results of this amazing natural product.